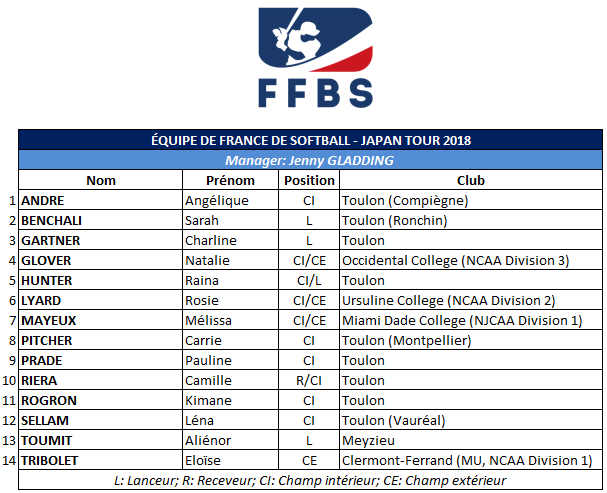 The Women’s Softball National Team of France will travel to Japan this coming weekend on invitation of the Japan Softball Association. The team of manager Jenny Gladding is going to play a couple of exhibition games between June 17 and 20. France will later this summer also play an exhibition series against the Czech Republic and participate in the London Cup.